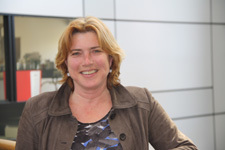 Annemarie van Elburg MD PhD, holds a position as professor of Clinical Psychopathology, especially Eating Disorders at the Faculty of Social Sciences of the University of Utrecht. She is a child & adolescent psychiatrist and medical director of Rintveld, topclinical centre for Eating disorders at Altrecht Mental Health Institute where she runs the teaching and research program. She is also boardmember of the Academy for Eating Disorders and serves on the Advisory Board of the Leontienhuis, a house run by the LeontienFoundation for sufferers and their carers. Memberships further include the EPPlab of Clinical Psychology, the Eating Disorder Research Society, the Nederlandse Academie voor Eetstoornissen and the VKJP (child and adolescent psychotherapists organization), specialist membership. Her main research interest is in all the aspects of ‘not-eating’ of anorexia nervosa patients. From the time of her PhD project on psychoneuroendocinological aspects of anorexia nervosa, she has been interested in research bridging the gap between experimental research and clinical practice, aiming to improve insight in and treatment outcome for eating disorder patients. Apart from being involved in phenotyping and genetics research in eating disorder patients she has conducted a ten year follow up study of her PhD project, in which biological predictors at the time of admission and the first year of treatment will be studied again.